FULLY AUTOMATIC: Automatic temperature controlling and AUTOMATIC EGG TURNER (note: It is invisible to see the turner work, but it did turn and work, And you don’t need to turn the eggs manually.) It can hatch chickens, ducks, fowl and geese,etc. 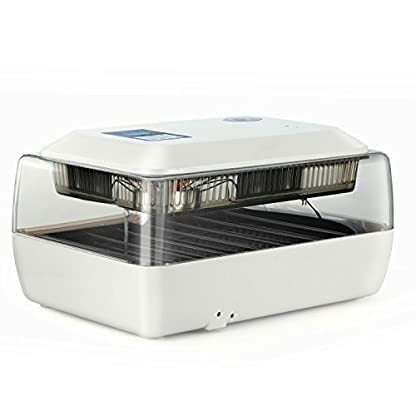 WIDELY USED: Easy operating of our Magicfly egg incubator,make it possible for small families or professional farmers to incubate chickens, ducks, turkeys and geese! TRANSPARENT OUTER SHELL: which clear window surrounding the eggs you’ll be able to see the entire incubation process without interrupting. This Magicfly Egg Incubator is simple and reliable to use. It is fun for the family and household that wants to start incubating chickens, ducks and geese. 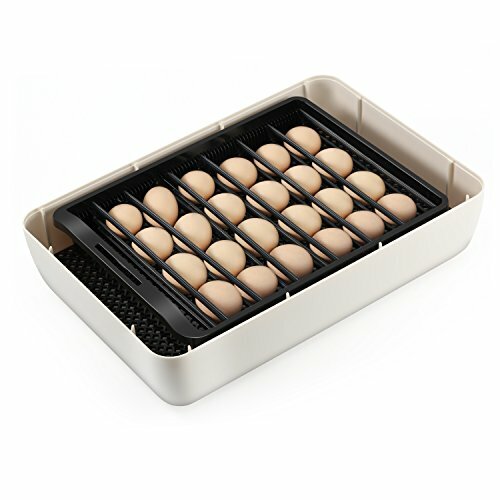 The easy design and functions allow kids to learn the basics of incubating eggs. 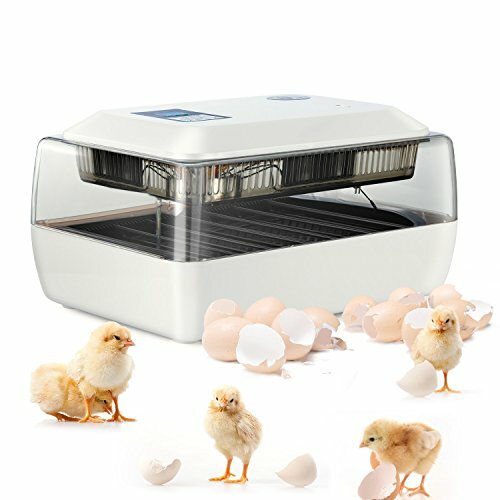 This incubator is so easy to use, the only thing you need to do is just add eggs. 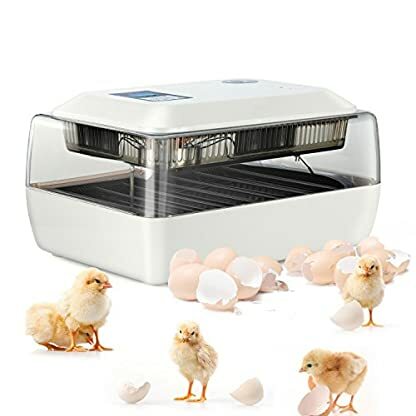 This egg incubator features solid molded construction and all the built in electronics you need, to which automatically control temperature, rotate eggs. The incubator is packaged with full LED displays, you can rest assure that they are in safe hands. Note: It is invisible to see the turner work, but it did turn and work, please do not worry. And you don’t need to turn the eggs manually. Note：1.when the ambient temperature is less than 25℃，it is better to take measures for heat preservation. It’s good for temperature uniformity when the device is enclosed with clothes or other warms, and it also helps energy-saving and reduces heat dissipation. 2.Make sure you are clear the User manual before use the product. IT CAN HOLD UP TO 24 EGGS at one time, Also the eggs quantity depending on the size of the eggs you put in it. 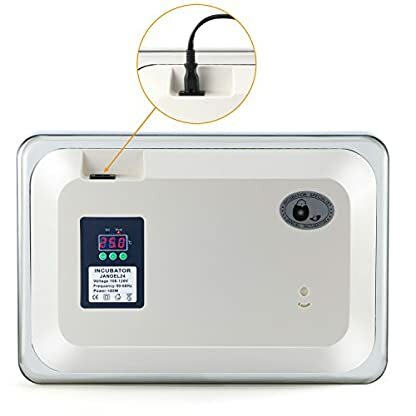 Rohs, CE, C-tick APPROVED: We suggest read the user manul first before using the item and make sure the egg incubator in an optimistic environment. Any problems or question just feel free to contact us.